Description: On the front the Olympic Stadium in blue and white colours. In the upper right corner three stamps: two green Finnish Lion stamps and one Convention de Geneve stamp. The address: Private Erkki Nurminen, Terijoki 3/JP I. 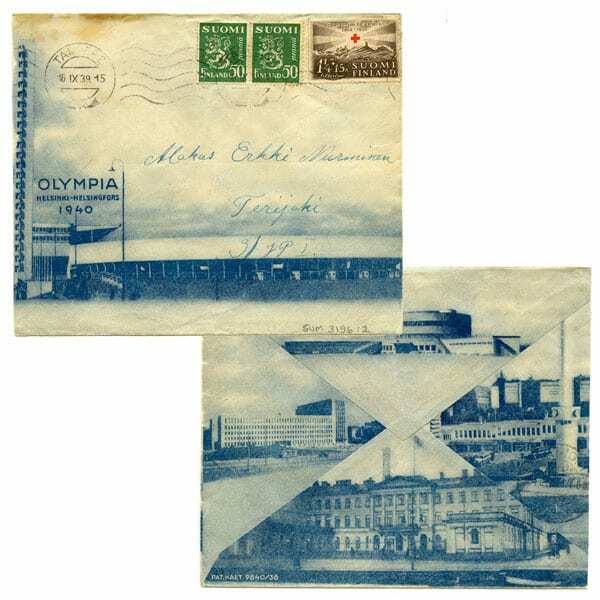 Date of postmark: 16 IX 1939. On the back side famous sights of Helsinki: Malmi air field, the Glass Palace, the Presidential Palace and the Post Office.